1. Break the Silence. The events of the past two weeks are raw, emotional, divisive- and there is a part of me that wants to keep quiet, to “wait until things calm down.” But that is not the role of the writer, not the role of the citizen, not the role of the human. The mode of governments, everywhere, is to tell their citizens to keep quiet when crisis (crises) arrives. Trust us, they say. Unite behind us, they say. And so often, we do, if only by not speaking out. And that is crazy dangerous. Afterward, when we find out that “Hell, those dumb, stupid sailors were just shooting at flying fish!” it will be too late. So as tempting as it is to remain silent- and it is tempting: I do not want my words to hurt anyone I know and especially anyone I love- I can’t and won’t. 2. “The” Crisis. There is not a singular crisis, despite the tone of much of the media these days (see: . The kidnapping of the three youths is a crisis. So is Israel’s collective punishment of much of the West Bank in response. So is the killing of five Palestinians in the last ten days. So is the killing of the Israeli kid in the Golan Heights. So is the occupation. So is societal fondness of violence. This does not minimize the horror we should feel in response to the kidnappings: it maximizes the horror we all should feel so often. 3. War is Terrorism, or, Why Hanin Zuabi is 3/4 Right. To sum up MK Hanin Zuabi’s recent statements, as I understand them: (1) The kidnapping itself does not constitute terrorism because (2) these actions cannot be understood outside of the context of the occupation and (3) Israel is using the kidnapping as an excuse to invade the West Bank and attempt to destroy Hamas and (4) Israel’s actions constitute terrorism. I think she is right about the second and third points, but is wrong about the first point: of course the kidnapping is terrorism. I’d propose the following rough definition of terrorism: abusing, terrifying, punishing, torturing, and endangering innocent human beings in order to achieve certain political ends. That is terrorism. So the first part of Zuabi’s statement is wrong. With that, I don’t think Zuabi’s statement is any more wrong than any attempt to argue for a clear-cut distinction between terrorism and war. 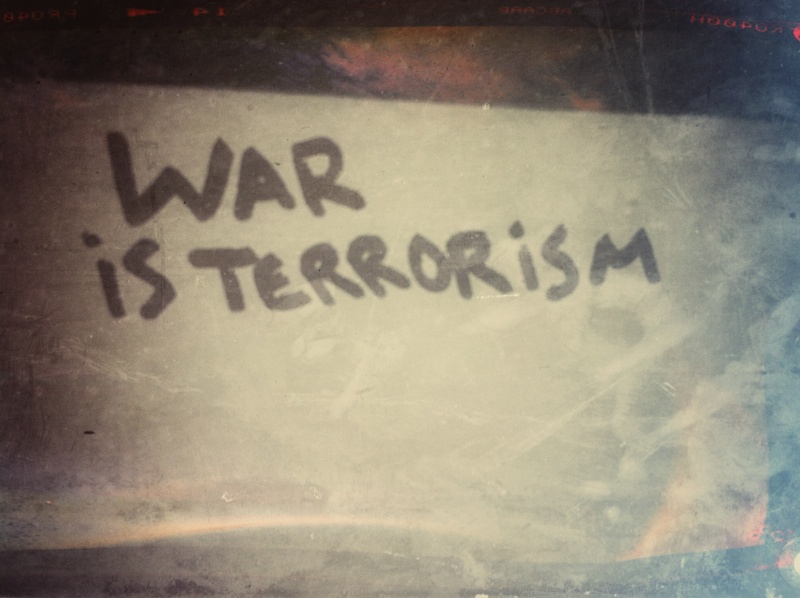 Terrorism is part of war and war is a type of terrorism, and thus Zuabi’s fourth point is correct. Israel’s actions in the West Bank do constitute terrorism. What is the difference between kidnapping kids as they hitchhike home from school in the West Bank and kidnapping kids as they play soccer in East Jerusalem? Frequency (the latter happens hundreds if not thousands of times more frequently). What is the difference between killing a 15-year boy in the Golan Heights and killing a mentally ill man in Nablus? Age (the former had fewer years to live on this planet). Not much else. If someone were to kidnap my little brother, it would not matter to me if he were wearing a uniform or civilian clothes. If someone were to shoot a member of my family, it would not matter to me if the shooter had been acting under government order or militia orders. No amount of grievances, explanations, or anger would make it righter, juster, more OK.
(A) War is OK. If this is the case, then kidnapping children (or adults), a tactic that has proven far more effective than face-to-face negotiation in securing the release of Palestinian prisoners, is OK.
(B) War is not OK. War- which collectively punishes, which kills the innocent along with the innocent, which is a Moloch with so many blood-dripping fangs- is terrorism, and what Israel is doing in the West Bank, including but not limited to the killing of a Palestinian every other day for the last week and a half, the routine kidnapping of Palestinian children in Silwan and Issawiya, the maintenance of an occupation which requires a perpetual war to sustain- is terrorism. And that is one of the crises we face, and about that, we cannot be silent. For what it’s worth, Mori, I’ve been waiting to see you post this. It’s worth a lot, RS. Thank you for the clarity. All the legal mumbo-jumbo on “legal wars” has always nauseated me. Obviously, if you’re attacked you have to defend yourself, but – boy, can that be extended to unacceptable levels!